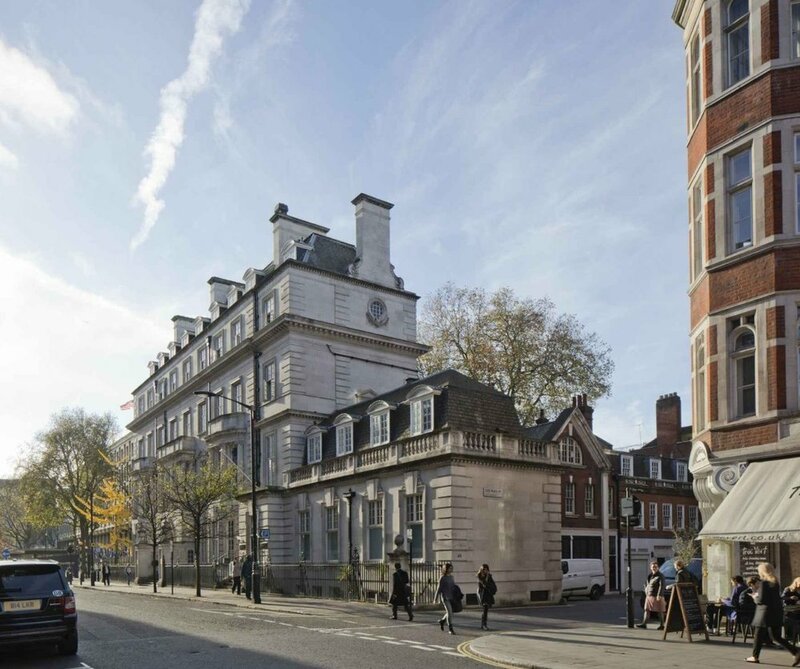 Audley Grosvenor and Navid Mirtorabi, the hotelier behind Blakes Hotel have appointed Stanhope Gate Architecture to design a new boutique hotel at 22 Grosvenor Square close to the US Embassy in Mayfair in central London. The project is supported by freeholder Grosvenor Britain & Ireland (Grosvenor), which has sold a long lease to the hotelier. Plans for the 40,000.Sqft Grade II Listed Building comprise the demolition of the north wing and its reconstruction and extension in a classical style as well a roof pavilion. The hotel will accommodate an all-day 120-cover Parisian style brasserie, a private members’ club and bar catering for people active in the creative sector and Mayfair residents. Stanhope Gate Architecture were selected on the basis of their extensive experience of new classical architecture as well as their insight and track record of refurbishment and adaptation of large and unique private and corporate residences and listed buildings in central London. The interiors will be designed by Paris based Interior Designer, Bambi Sloan , who is responsible for The St James and JOBO boutique hotels. Alireza Sagharchi, Principal of Stanhope Gate Architecture said: “The Grosvenor Square Hotel is a natural extension of our increasing portfolio of large individually designed and bespoke hotel and residential projects. Stanhope Gate will bring their experience, approach and design sensibility to achieve the client’s aim of creating a unique property to continue the tradition of great European boutique hotels and set it apart from the standard internationally branded hotel chains. The project is due to start onsite in the second quarter of 2018.